ITALY’S SCUTERI TAKES TRENTINO WIN. 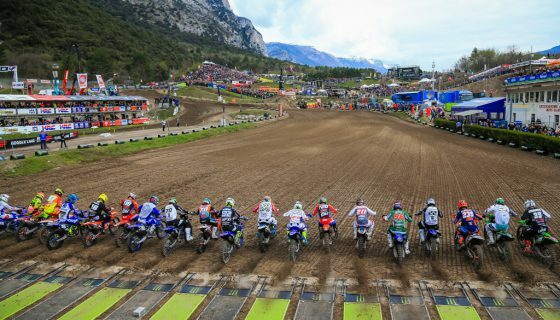 Round 2 of the EMX125 championship presented by FMF Racing has been recorded today at Trentino, Italy circuit of Pietramurata. 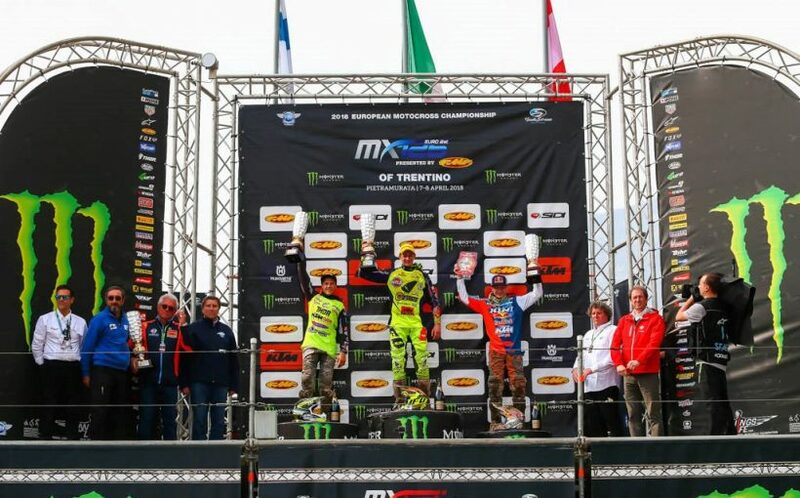 With thousands of Italian motocross fans lining the track fences and 97 entries into the class for the weekend Italy’s own Emilie Scuteri was able to put together a winning performance. In Saturday’s race one we saw a textbook performance from KTM DIGA Junior Racing’s Emil Weckman who took the lead off of the start and stayed in front each of the 15 laps. Behind Weckman a battle kicked off between Emilio Scuteri and Mieco Vettik. Scuteri had second position to his name the first lap but the following 6 laps Vettik led the Italian. At the half way point however Scuteri reclaimed the position and pushed toward the lead of Weckman. At the finish Weckman won by just less than 4 seconds over Scuteri who in turn pulled a 5 second gap on Vettik. Meanwhile last round’s double race and overall winner KTM Junior Racing’s Rene Hofer rode an impressive comeback performance for 17th on lap 1 through the pack to finish 4th less than 3 tenths of a second behind Vettik. 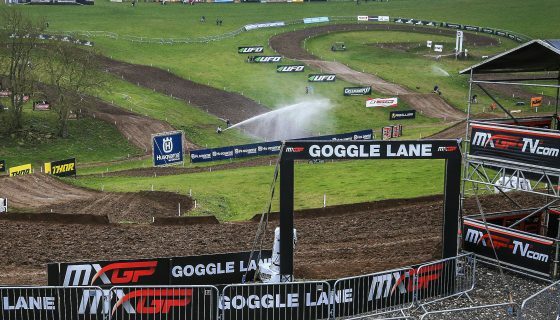 Today’s race 2 was the first event on the freshly watered and prepped track leaving the riders with far different conditions from yesterday. At the start Emilio Scuteri took the holeshot over Team VRT’s Lion Guyon while race 1 winner, Weckman, completed lap 1 in 5th. Scuteri managed to lead the entirety of race 2 from start to finish as Rene Hofer put himself in the difficult position of having to come through the field after starting outside the top ten for the second time in 2 days. As Hofer worked his way forward so too did Weckman all at the expense of Guyon and Raf Meuwissen. At the finish Scuteri took the race and overall win from Weckman when they tied in points but the stronger race 2 from Scuteri decide it. Following the pair of race winners with 3rd and 4th respectively in both race 2 and the overall standings were Hofer and Guyon. In terms of the championship standings Hofer remains the red plate holder with 88 points over Weckman’s 82 and Scuteri’s 72. EMX125 Presented by FMF Racing Race 1 Top Ten: 1. Emil Weckman (FIN, KTM), 30:19.937; 2. Emilio Scuteri (ITA, KTM), +0:03.847; 3. Meico Vettik (EST, KTM), +0:09.088; 4. Rene Hofer (AUT, KTM), +0:09.374; 5. Tom Guyon (FRA, KTM), +0:14.538; 6. Thibault Benistant (FRA, Yamaha), +0:18.261; 7. Eddie Wade (GBR, KTM), +0:29.164; 8. Raf Meuwissen (NED, KTM), +0:37.960; 9. 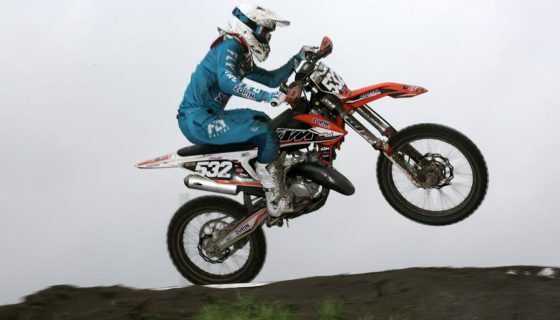 Raivo Dankers (NED, KTM), +0:38.724; 10. Mike Gwerder (SUI, KTM), +0:49.737. EMX125 Presented by FMF Racing Race 2 Top Ten: 1. Emilio Scuteri (ITA, KTM), 30:18.685; 2. Emil Weckman (FIN, KTM), +0:04.183; 3. Rene Hofer (AUT, KTM), +0:05.796; 4. Tom Guyon (FRA, KTM), +0:10.267; 5. Raf Meuwissen (NED, KTM), +0:14.725; 6. Thibault Benistant (FRA, Yamaha), +0:14.997; 7. Lion Florian (GER, KTM), +0:18.442; 8. Petr Polak (CZE, KTM), +0:20.636; 9. Wannes Van de Voorde (BEL, KTM), +1:14.279; 10. Simon Laengenfelder (GER, Husqvarna), +1:15.298. 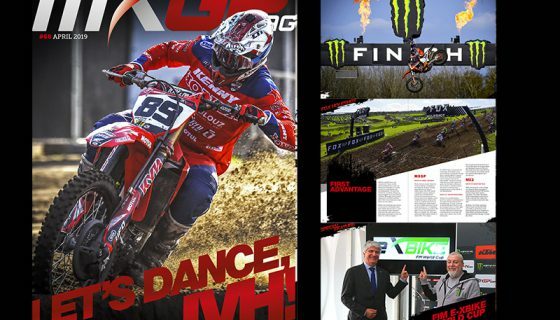 EMX125 Presented by FMF Racing Overall Top Ten: 1. Emilio Scuteri (ITA, KTM), 47 points; 2. Emil Weckman (FIN, KTM), 47 p.; 3. Rene Hofer (AUT, KTM), 38 p.; 4. Tom Guyon (FRA, KTM), 34 p.; 5. Thibault Benistant (FRA, YAM), 30 p.; 6. Raf Meuwissen (NED, KTM), 29 p.; 7. Lion Florian (GER, KTM), 23 p.; 8. Petr Polak (CZE, KTM), 21 p.; 9. Meico Vettik (EST, KTM), 20 p.; 10. 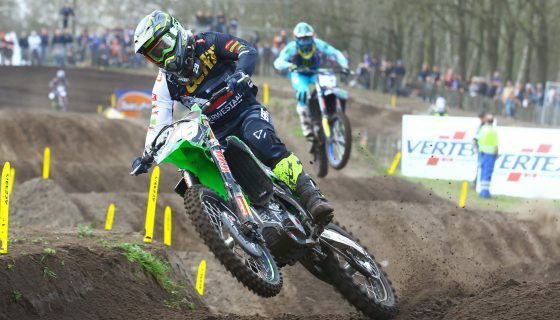 Raivo Dankers (NED, KTM), 19 p.
EMX125 Presented by FMF Racing Championship Top Ten: 1. Rene Hofer (AUT, KTM), 88 points; 2. Emil Weckman (FIN, KTM), 82 p.; 3. Emilio Scuteri (ITA, KTM), 71 p.; 4. Thibault Benistant (FRA, YAM), 60 p.; 5. Tom Guyon (FRA, KTM), 59 p.; 6. Raf Meuwissen (NED, KTM), 51 p.; 7. Petr Polak (CZE, KTM), 48 p.; 8. Mario Lucas Sanz (ESP, KTM), 46 p.; 9. Filip Olsson (SWE, HUS), 44 p.; 10. 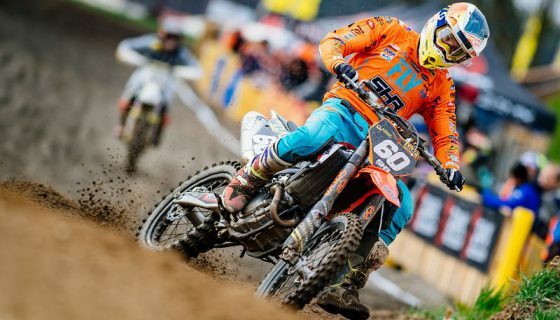 Lion Florian (GER, KTM), 40 p.
EMX125 Presented by FMF Racing Manufacturers: 1. KTM, 100 points; 2. Yamaha, 60 p.; 3. Husqvarna, 58 p.; 4. TM, 15 p.